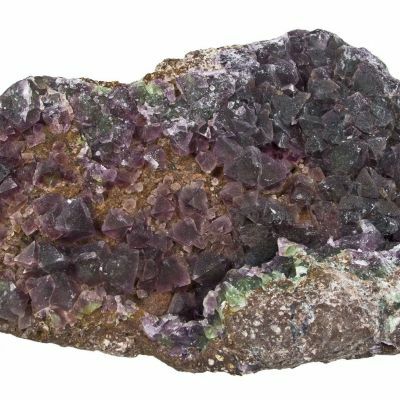 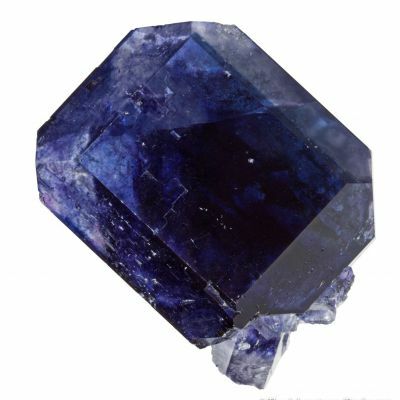 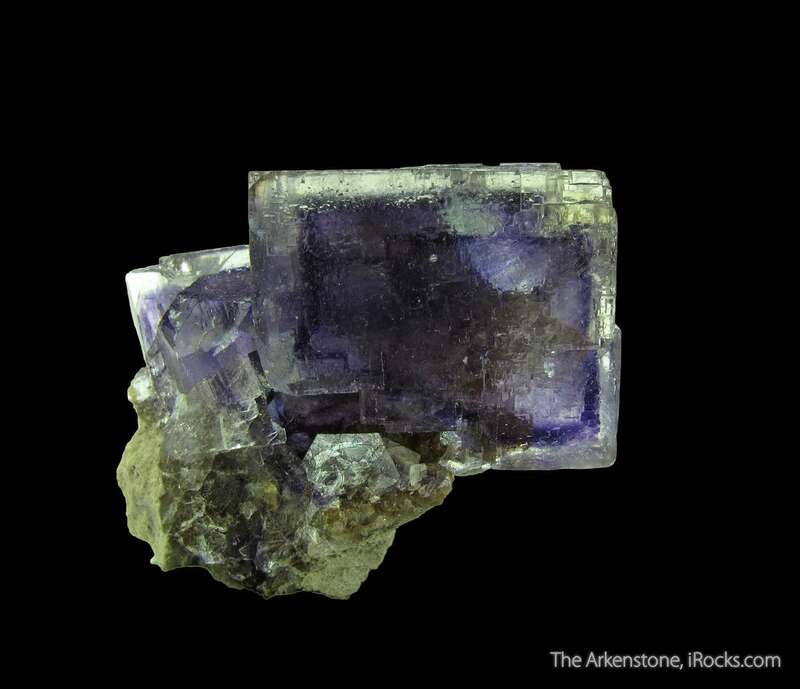 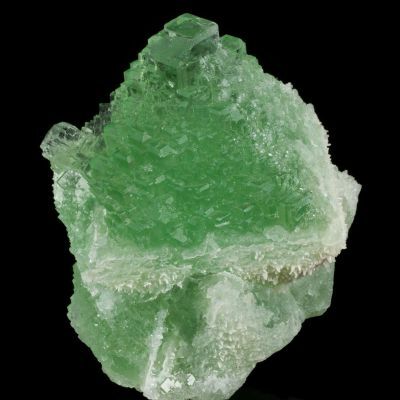 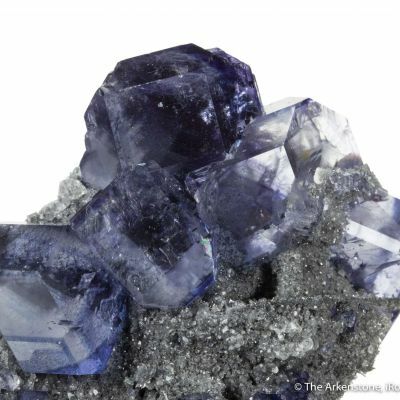 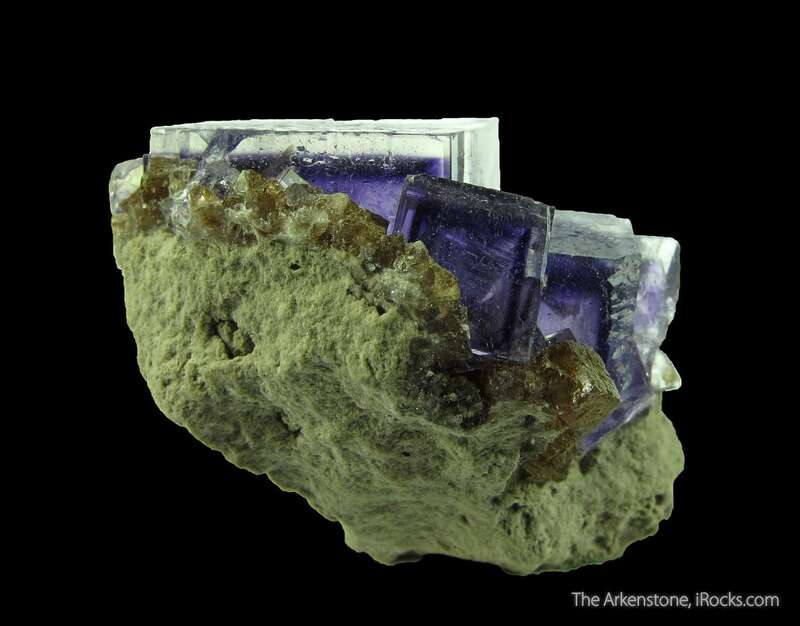 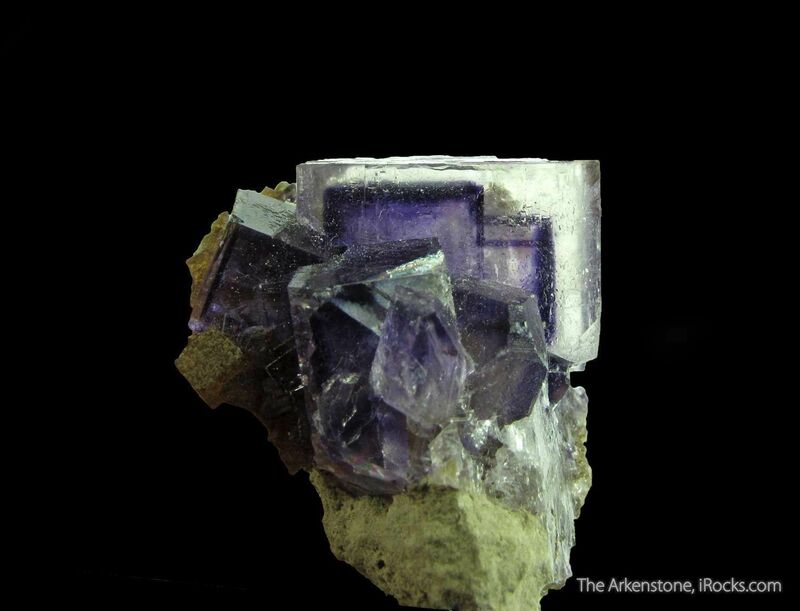 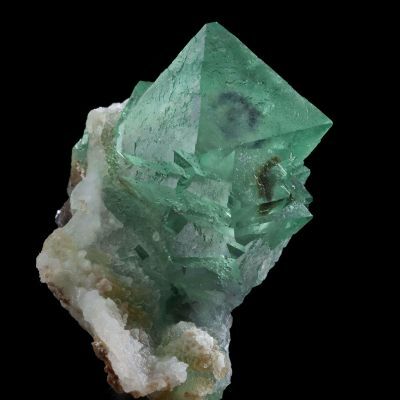 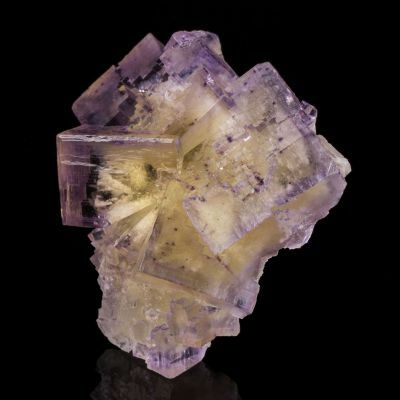 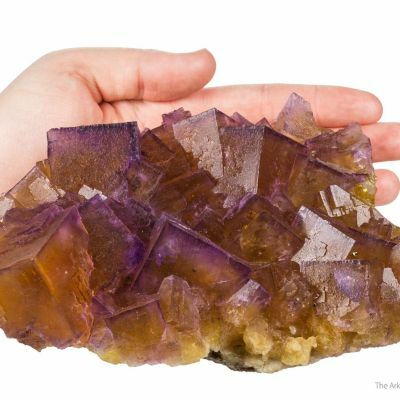 The Auglaize Quarry has produced many fine Fluorite specimens, and this one fits right in at the larger end for the size and quality of the fine dominant crystal. 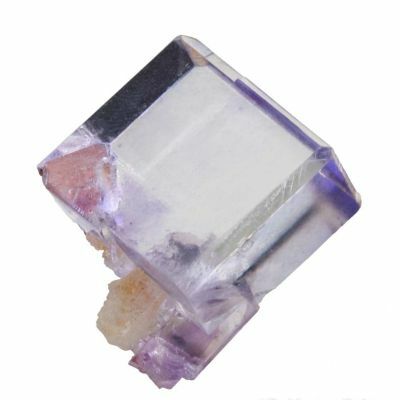 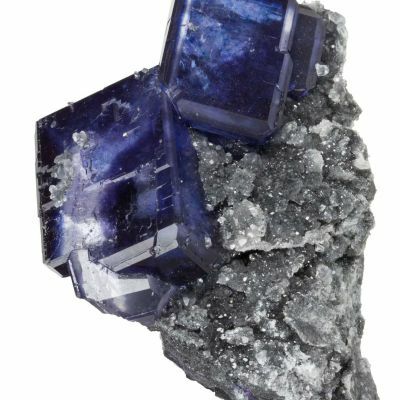 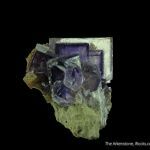 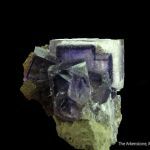 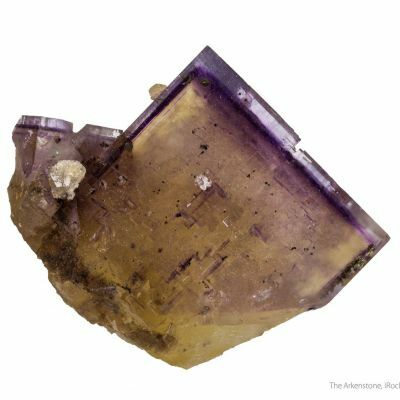 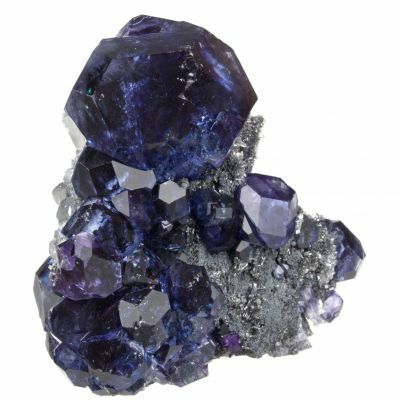 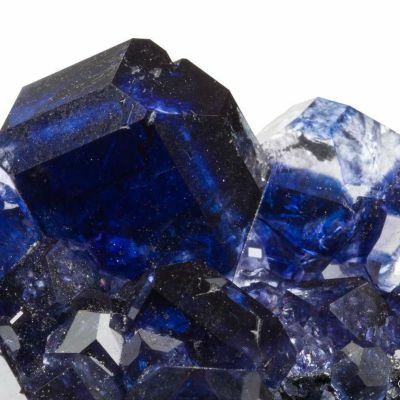 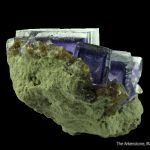 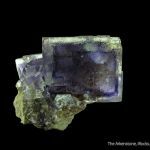 The crystals of partly colorless Fluorite are gemmy and lustrous, and they have a rich, zoned lavender core that is so recognizable as being from Auglaize. 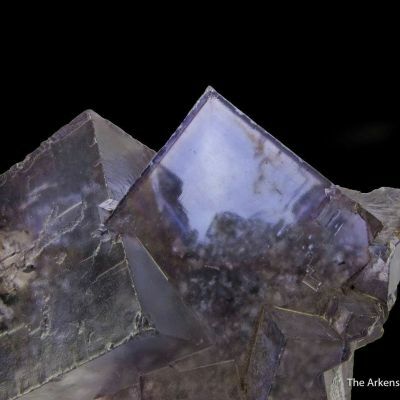 The largest crystal is 2 cm across. 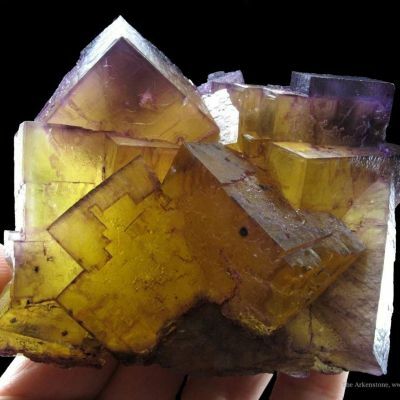 In addition to the color zoning, being perched on a Fluorite with hydrocarbons matrix is an added bonus. Both generations of Fluorite fluoresce due to those petroleum inclusions, in fact. 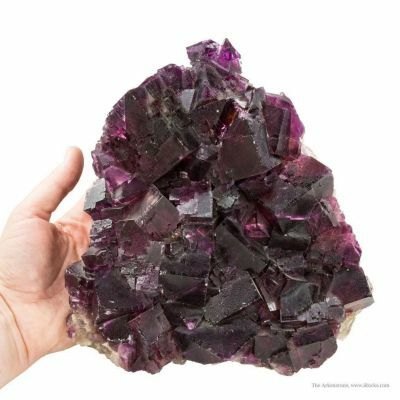 These were highly sought after in the Ohio community when I was growing up and to my knowledge, few outside the locals have pieces like this (it is better than any I collected in over a dozen trips to this quarry). 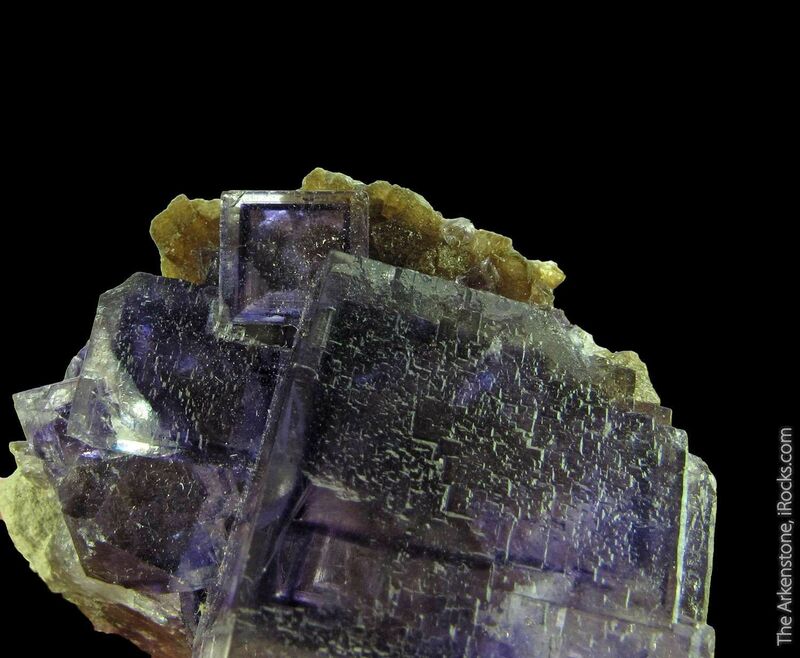 This originally came from one of my own mentors, Ohio field collector John Medici in the 1990s. 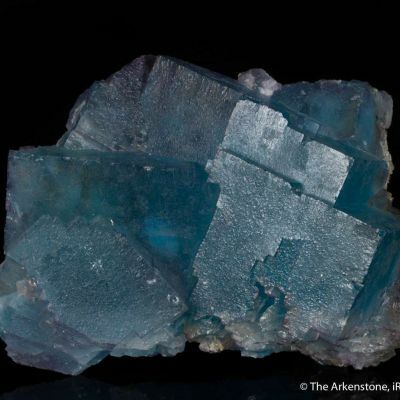 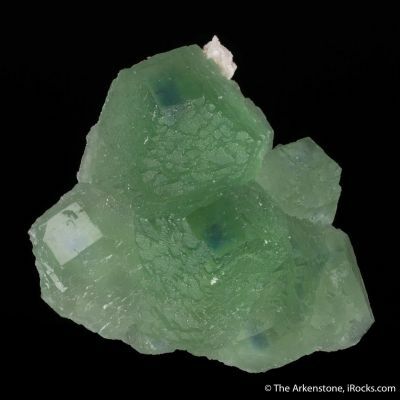 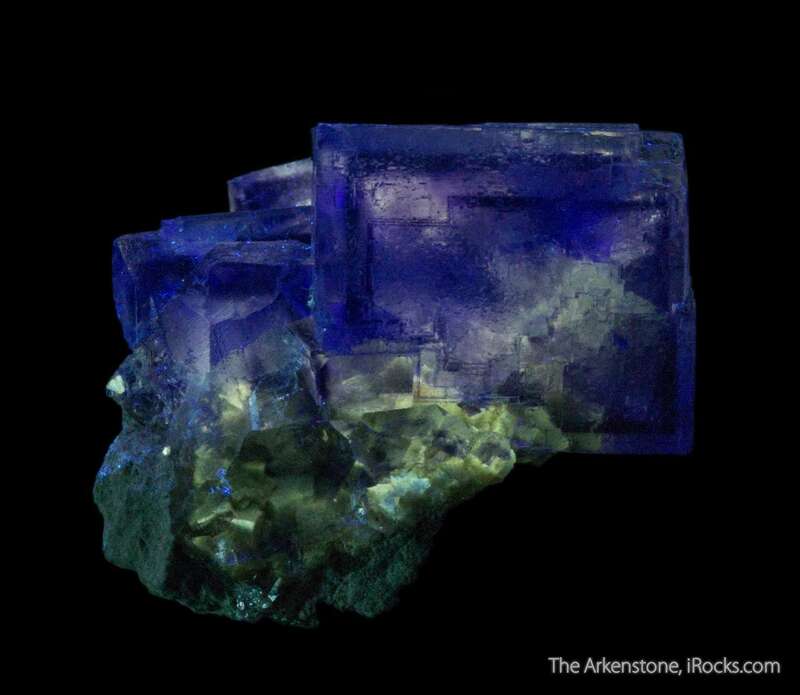 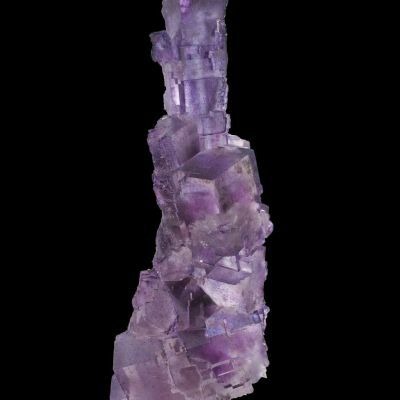 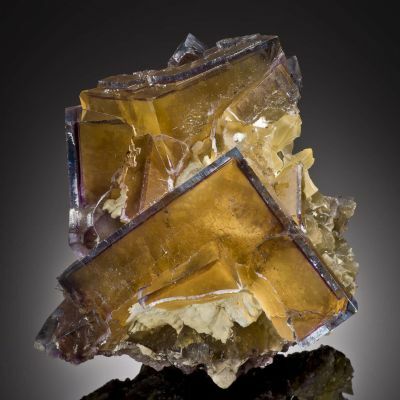 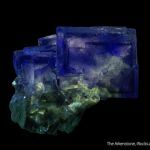 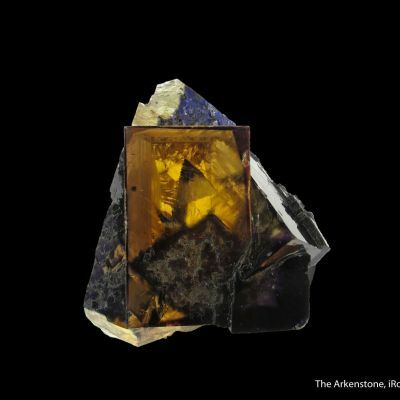 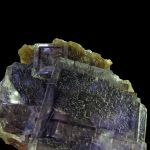 Good Auglaize Fluorites have an ethereal beauty all their own.